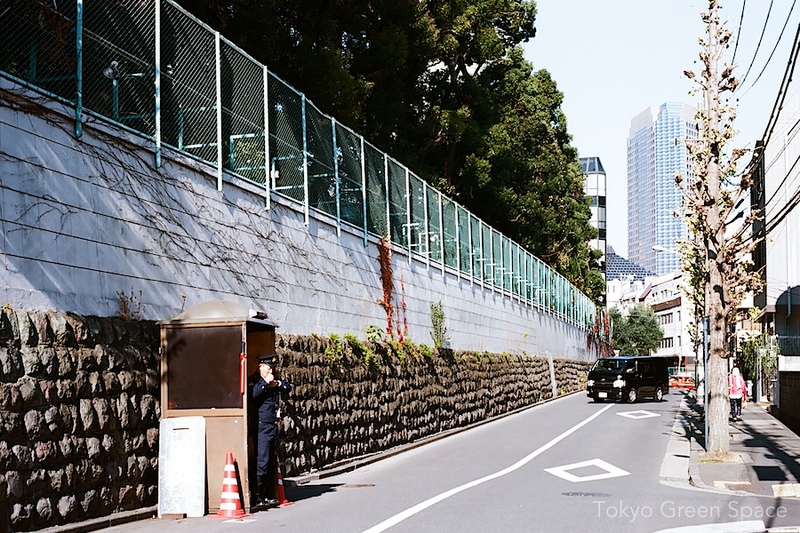 With a guard booth just meters from the entrance to the Tokyo-American Club, the Russian embassy grounds are secure, ample, and inaccessible. I wonder what creatures are living there. Biking home on the back streets, I founds this handsome old house. I wonder what it’s like inside. The four seasons micro garden I often pass on the way to the station has a new summer addition. 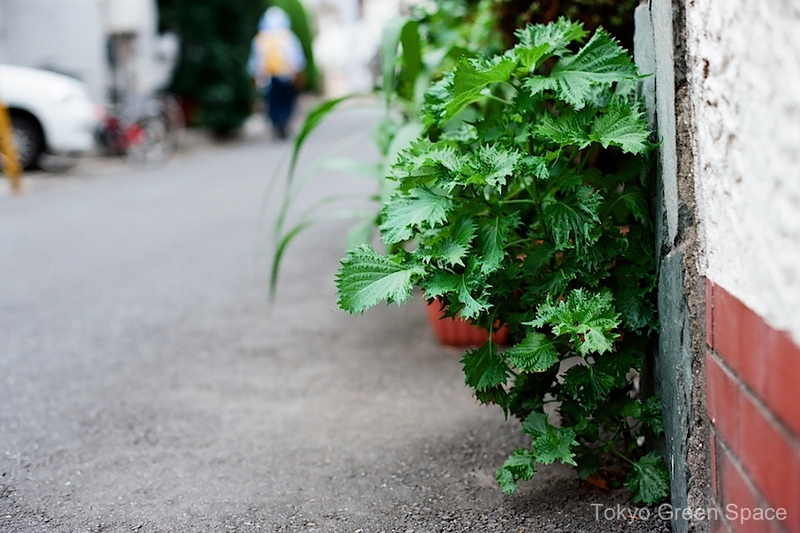 Shiso is growing from a crack. Almost all the other plants are in pots, so I wonder if this was planted or just sprung up naturally. It looks delicious! I love this horticultural graffiti on the Korea Town side of Kabukicho. 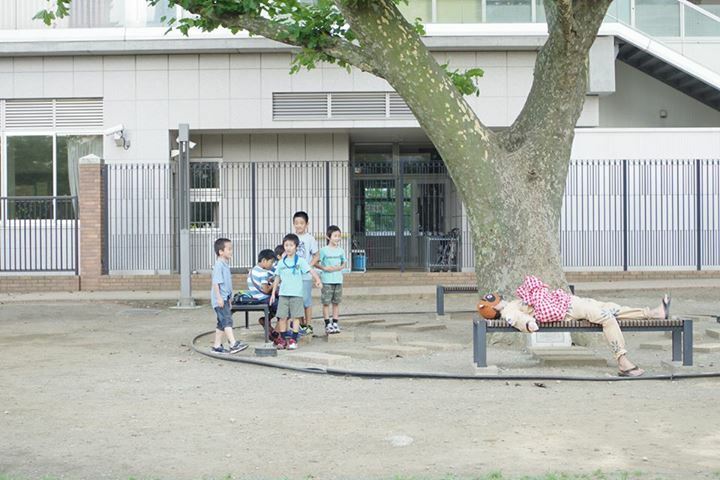 A girl pours a few drops from a watering can. She’s wearing matching gloves and shoes, with an anchor tattoo on her arm and electricity bolts on her dress. I wonder what she’s growing. Small house borders large empty lot and some greenery. How did this post-war house survive, and how long has the neighboring lot stood empty? 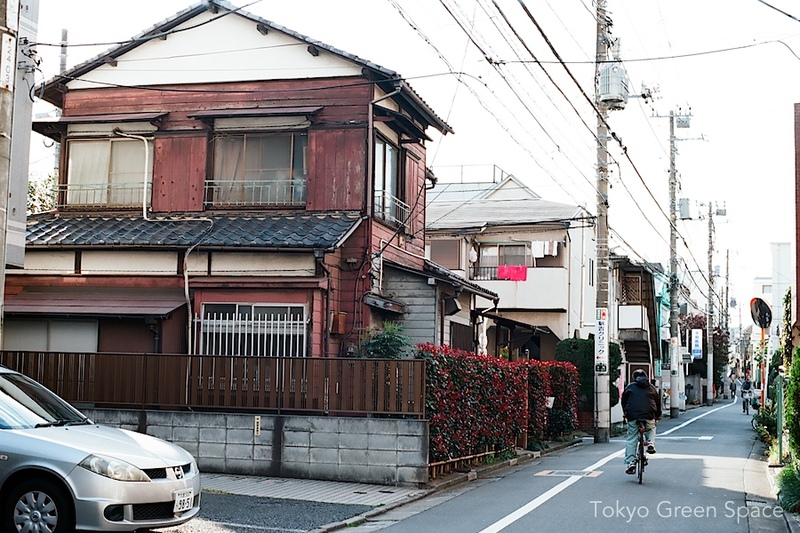 This small post-war house has survived Tokyo’s constant re-development. 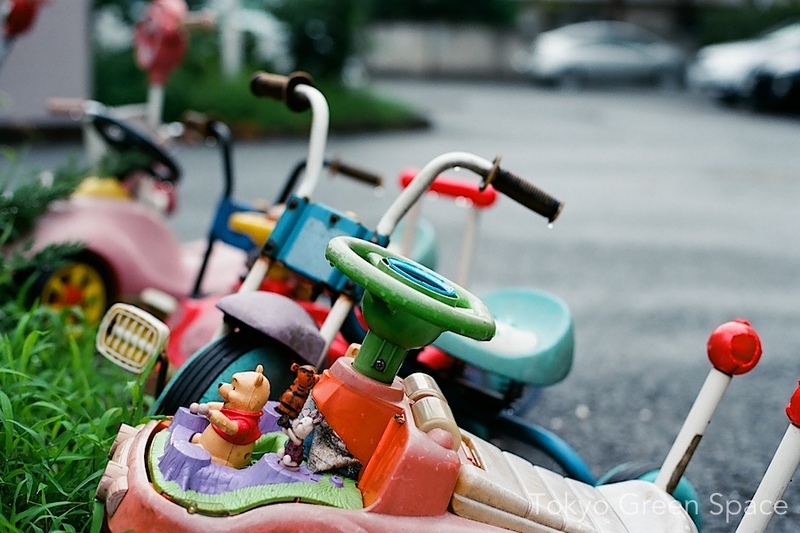 I wonder how long the large empty lot in the foreground has stood empty. Fall brings clear skies and dramatic clouds. How come the top looks like a natural wonder and the city below is littered with antennas, utility poles, and a giant incinerator?